Ah! Lovely Elmo! We have fond memories of the kids growing up watching him and singing along with him and his silly songs. Now that the kids are older, they can enjoy reminiscing about the “good ‘ol days” and make a craft in honor of Elmo. He is such a funny and fun guy! 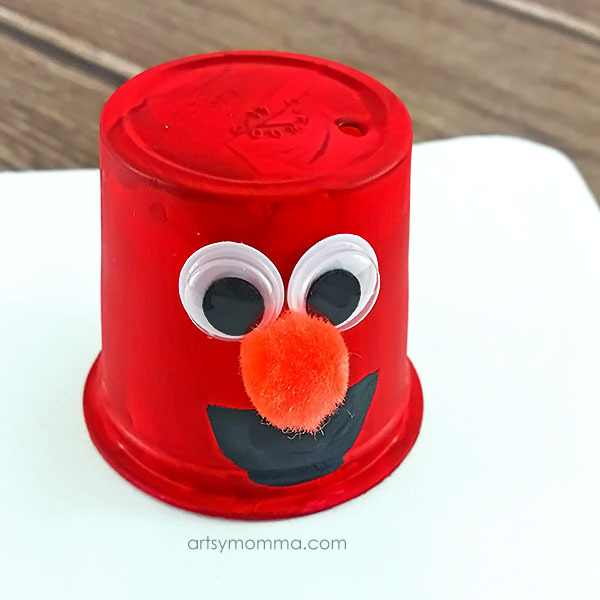 In this post, we will show you a tutorial on how to make an Elmo k cup craft. It’s awesome to get creative and come up with ways to recycle materials that we have laying around. 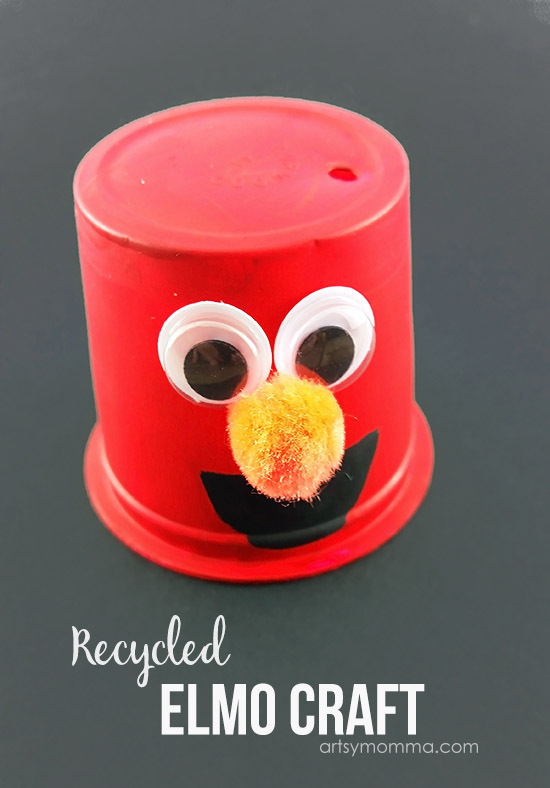 We have a whole section on recycled k cup crafts you should check out 🙂 *Some of the links in this post are affiliates. We also received some items free from our blog partner CraftProjectIdeas.com. Please read our full disclosure policy here for more on this. 1. Paint the entire outside of the k cup red and allow it to dry. Add another coat if necessary. 2. 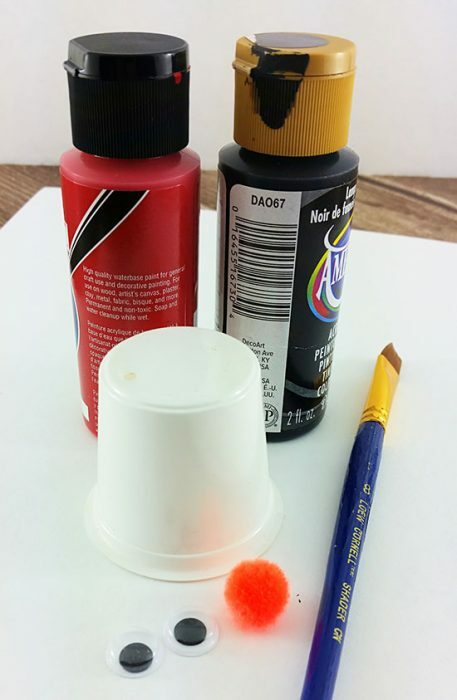 Attach the googly eyes and nose (orange pom) with hot glue. 3. Paint a mouth using the black paint. That’s it! 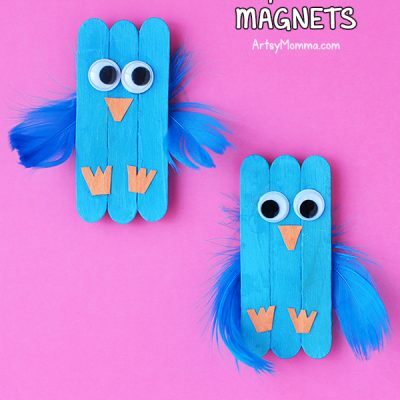 Isn’t it a fun and easy-to-make craft? 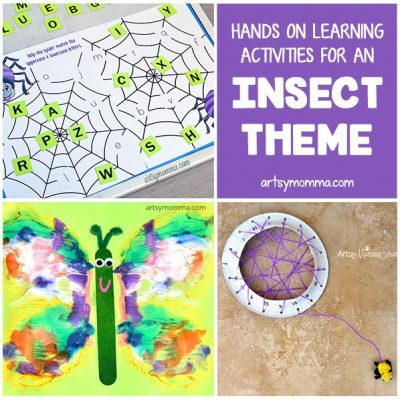 Why not make one today with your kids? 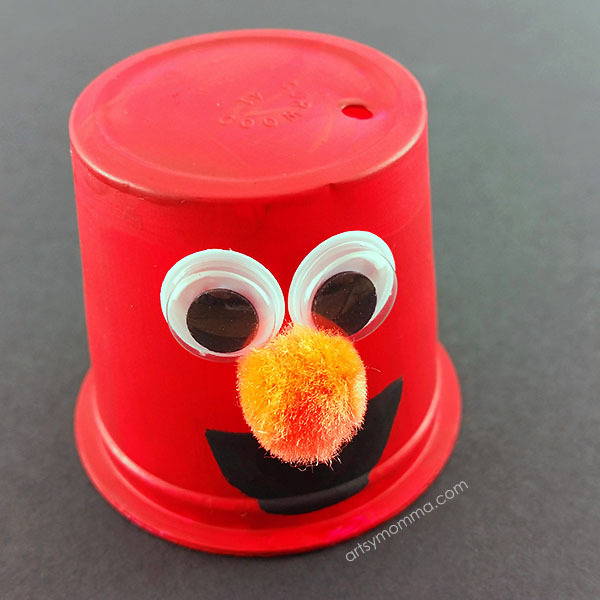 They can use the Elmo k cup craft for imaginative play or even as game pieces. It also makes a cute kids room decoration.